Arsenal have dropped a massive 26 Premier League points from a possible 45 on the road so far this season, a statistic that must improve to give themselves every chance of playing in the Champions League next term. The Gunners have every chance of making European football's elite tournament by way of winning the Europa League and they look good heading to Italy this week with a 2-0 lead ahead of the second leg of their quarter-final against Napoli. In the race for a top four spot in their domestic competition, they are up against fellow Londoners Tottenham (67 pts), Chelsea (66) and Manchester United (64). At the time of writing, Arsenal lie on 63 points after 33 games, one less game played than Tottenham and two less than Chelsea. First up tonight Arsenal make the short trip to Vicarage Road to face an in-form Watford side who have had eight days to recover from their FA Cup semi-final win after extra-time against Wolves while it's been four days since Napoli visited the Emirates. It's a clash that comes with added spice thanks to Troy Deeney questioning Arsenal's nerve after they turned them over 2-1 in the same fixture last year. The Hornets striker admitted this week that he has no regrets over those comments. 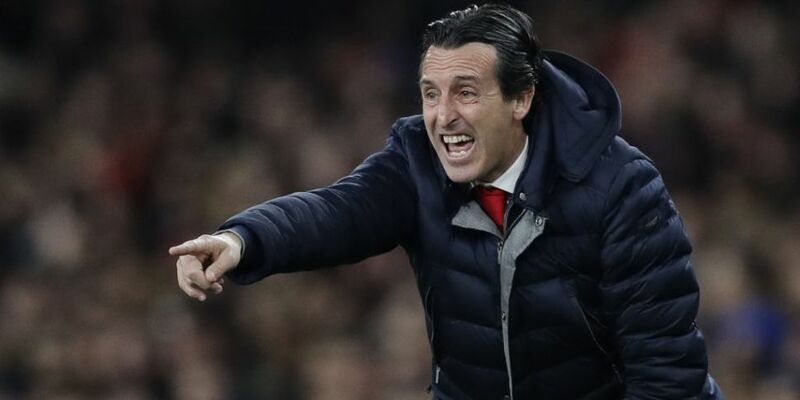 Unai Emery's side looked good away from home until the end of November, claiming seven wins in all competitions but since then they have been suffering with a serious dose of travel sickness. Points were dropped in draws at Selhurst Park and Old Trafford before defeats away to Southampton and Liverpool either side of a draw at Brighton, three matches in which they conceded nine goals. Back-to-back top-flight defeats at West Ham and Manchester City preceded a hard-fought 2-1 win against basement boys Huddersfield. Following that, they suffered embarrasing away losses to BATE Borisov and Rennes in the Europa League while they drew with fierce rivals Tottenham and were also battered in a 1-0 defeat at Everton. There are some top quality sides still in Europa League contention, Valencia, Benfica, Eintracht Frankfurt and Chelsea, so winning that particular trophy and Champions League qualification will be far from easy. That means that securing a top four finish in the Premier League is vital...the permutations of whether top four will be enough depending on the English clubs winning one or both European competitions can be addressed at a later date. Aside from Watford, Arsenal still face tricky enough trips to Wolves, Leicester City and Burnley which could be made all the more difficult alongside progression in Europe. Emery's already stretched squad will need to be handled with care over the coming weeks and there is no doubt that he must come up with a cure for his sides travel sickness to ensure they are not left behind in the less lucrative Europa League for a second successive season.